Have you been on Facebook lately? Nothing but politics. 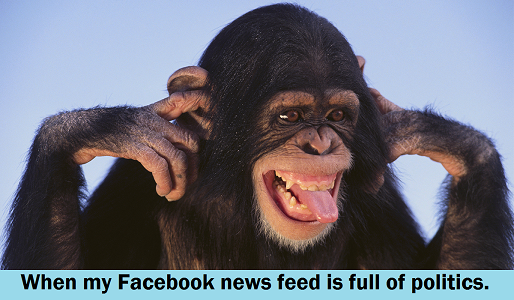 Here’s how we at Apolitical Primate feel when we peruse our Facebook Feeds.